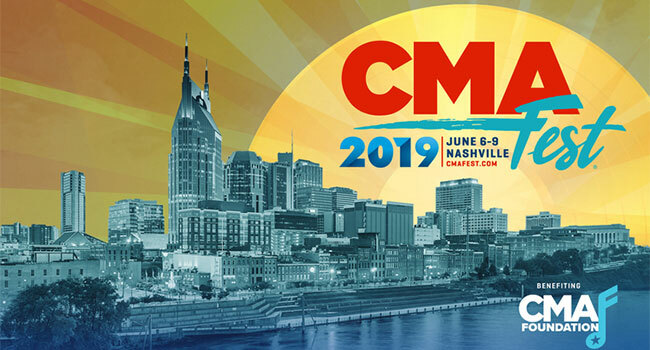 The Country Music Association has added performances to the nightly concerts at Nissan Stadium during CMA Fest in Downtown Nashville Thursday, June 6th through Sunday, June 9th. A limited number of four-day passes for the nightly performances at Nissan Stadium are still available at CMAfest.com or through the CMA Box Office at 1-800-CMA-FEST. Brett Young will take the stadium stage Saturday night, while Chris Janson will perform Sunday night. Nissan Stadium openers include Marty Stuart on Thursday, Jo Dee Messina on Friday, Billy Ray Cyrus on Saturday and David Lee Murphy on Sunday. Two different student groups from Nashville School of the Arts, a beneficiary of the CMA Foundation, will perform the National Anthem during CMA Fest – the first kicking off the Chevy Riverfront Stage Thursday morning, followed by a second group performing Thursday evening at Nissan Stadium. Additional artists performing the National Anthem at the stadium include Lindsay Ell on Friday, Runaway June on Saturday, and Jimmie Allen on Sunday. More festival news and lineup additions will be announced in the coming weeks. CMA Fest will once again be filmed for a national prime time television special to air on the ABC Television Network this summer. This is the 16th consecutive year the event has been filmed for a network television special, a feat no other music festival has achieved. CMA Fest will be executive produced by Robert Deaton.